If you’re looking for the best low vision aids Hot Springs AR has to offer, you’ve come to the right place! 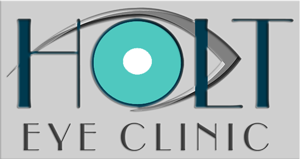 At Holt Eye Clinic, our dedicated team of ophthalmology professionals is standing by to help you with diagnosis and treatment for your low vision condition. We get a lot of inquiries from patients about low vision and low vision aids, so we wanted to take this opportunity to provide some answers to the most frequently asked questions. What is the cause of low vision? Low vision is a condition in which patients cannot see as well as they need to, even when wearing conventional prescription eyeglasses or contact lenses or after corrective surgery. Causes of low vision include diabetic retinopathy, glaucoma, and macular degeneration. Patients may develop low vision because of genetic issues or following a traumatic injury. How can an eye doctor diagnose low vision? Your eye doctor will begin by speaking with you to determine the nature of your low vision and what your hopes are for improving your eyesight. Then, during a comprehensive examination, he or she will test your vision and how various low vision aids help you see better. What are optical devices available to help my low vision condition? Low vision aids are available for near vision (used for activities such as writing, reading or doing crafts) and distance vision (driving, watching movies and reading distant signs). A number of options are available for you to discuss with the eye doctor, including stand magnifiers, handheld magnifiers, reading glasses with magnification and telemicroscopic glasses. Can I be certain that the low vision aid will work for me? While you are being examined, you’ll have a chance to test low vision devices for various activities and tasks, such as prismatic lenses, a microscope or telescope. We will verify that the work properly as configured in the office before we order your specific devices. You’ll have the peace of mind of knowing that the low vision aid will work when it arrives. If my vision changes after being fitted with an optical device, what happens next? While a person’s vision can definitely change over the years, you can expect that the optical device you use for your low vision to be useful for the foreseeable future. Each patient will have a different situation, of course. Our team will monitor your vision with regular examinations and can order a new optical device for you in the event that your prescription does need to be adjusted.